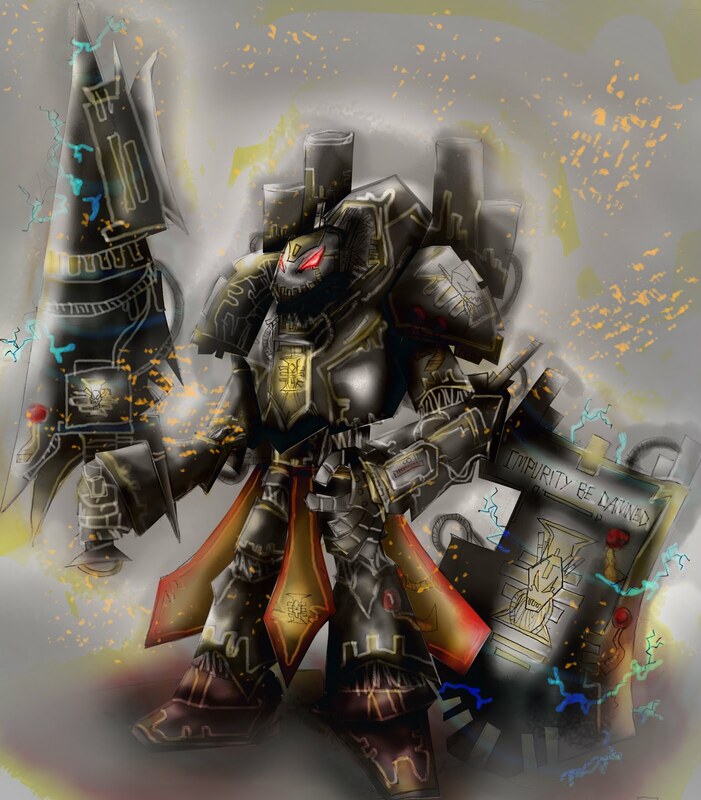 Space Marine are super human with unimaginable ability, but they are not perfect. Their gene seed are pron to mutation and corruption, thus impairing their mind and soul. They seek to be cleansed. The Imperium has established The Chapter Hunter, the one who will hunt down these impure marines. They will purge all those are defected, good or bad, loyal or heretic, as long as they are impure. Innocence proves nothing. They are the finest creation, armed with nemesis gunlance and force vanguard, they will eradicate all who stand on their way.